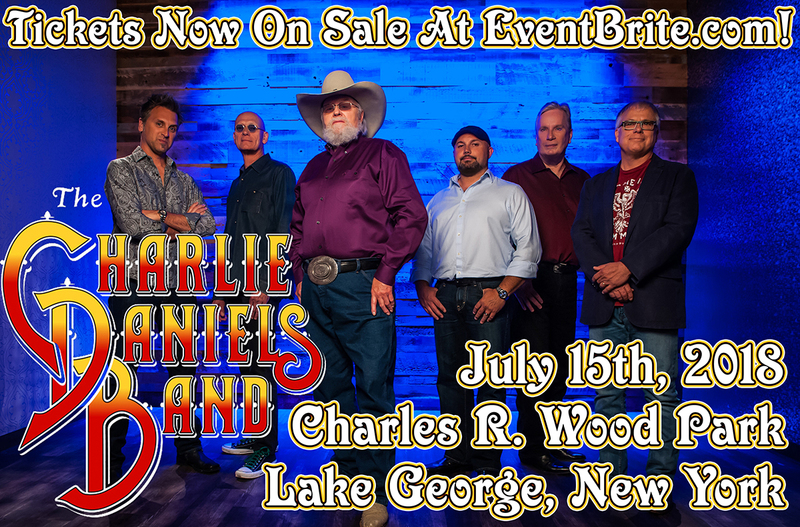 The Charlie Daniels Band is Coming to Lake George! From his Dove Award winning gospel albums to his genre-defining Southern rock anthems and his CMA Award-winning country hits, few artists have left a more indelible mark on America’s musical landscape than Charlie Daniels. Having been a major architect in shaping country, bluegrass and Southern rock music, Daniels has been inducted into the Grand Ole Opry, the Musicians Hall of Fame and Museum, the Country Music Hall of Fame, and has a star on the Music City Walk of Fame. Only Super VIP ticket holders allowed to enter parking area, Viewing area, Tent, and Early entry. PLEASE CARPOOL!